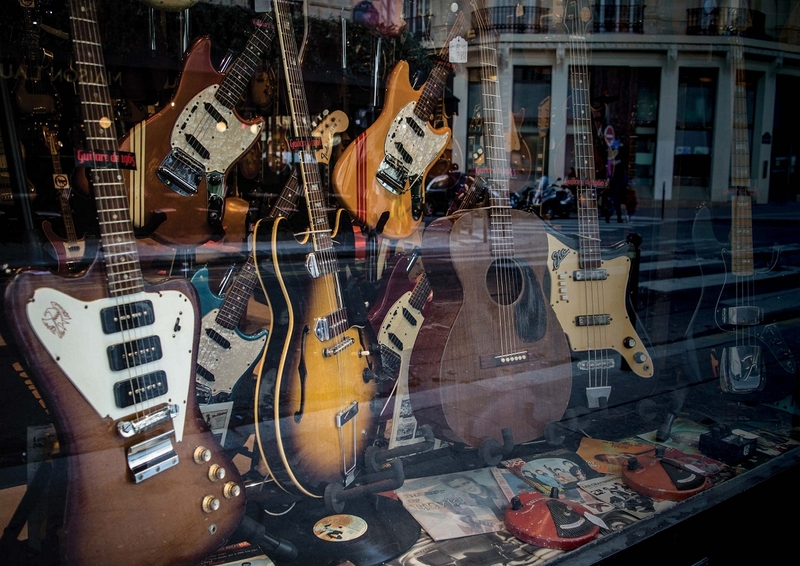 A trip to Paris in late November might not seem like the best time of year to walk down the Seine with your better half – but who cares about romance when you’re guitar shopping? And that’s exactly why a mate of mine planned a trip at the end of last year – he was in the market for a vintage guitar and had located some potential winners in the City Of Love. Feeling a bit apprehensive about making the trip alone, he asked me if I’d tag along on his jaunt to provide dispassionate advice and moral support in return for a steady supply of quality local beer. After thinking it over carefully for roughly a nanosecond, I agreed. At this point you may be wondering why we decided to go to Paris? Well, he couldn’t find the guitar he wanted in the UK, and while a guitar hunt in New York or Nashville might have been more exotic, there’s something to be said for buying in the EU. For one, major European cities are a lot quicker and cheaper to get to than crossing the Atlantic, and there’s also the import duties to consider – they don’t apply in EU member states, so for the time being at least, that’s a real saving. The March 2018 issue of The Guitar Magazine is on sale now, featuring Fender’s brand new 2018 flagships and a with free Taylor Guitars supplement for every reader! 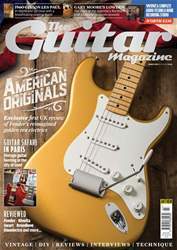 This month inside the UK’s best-loved and most affordable guitar magazine, we get to grips with Fender’s brand new for 2018 American Originals guitars in a UK exclusive first review. Find out if Fender’s reimagined golden era electrics will need to be on your must try list inside, and chose from our two special collector’s edition covers - will you pick Strat or Tele, or get the set? As if that wasn’t enough of a big deal, the March issue also comes with a free 24-page magazine dedicated to Taylor Guitar’s brand new V-Class bracing system – a hugely innovative way of making acoustic guitars that made serious waves when it was launched at last month’s NAMM show. Inside, we sat down with Taylor design guru Andy Powers to find out just what makes the new bracing system so remarkable, and got our hands on one of the first V-Class guitars Powers has built for an in-depth review. But we’re not all about shiny new gear here at The Guitar Magazine, and we’ve got plenty in store for vintage fanatics inside, too. 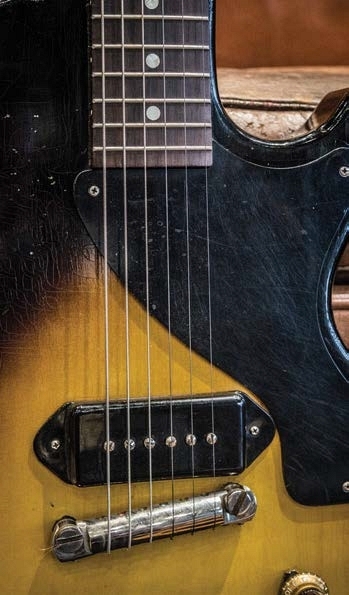 For starters, we had the rare privilege of getting up close with a £230,000 1960 Gibson Les Paul Standard in Vintage Bench Test, while we also spent some time with a gorgeous 1963 ES-335 made famous in the hands of Sweet guitarist Andy Scott. 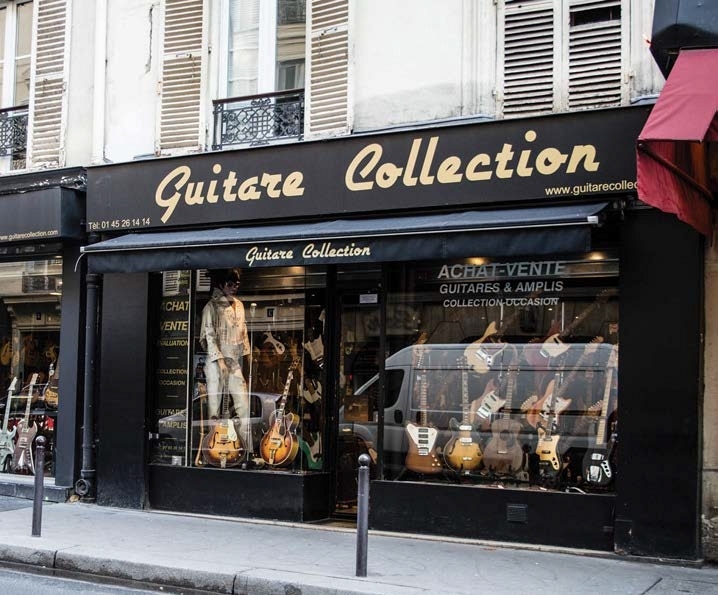 If vintage guitar speculation is more your game, however, then take a trip with Huw Price to Paris as he wanders through the incredible vintage guitar shops of the City of Love’s ‘Music Village’ area - you might want to book a trip yourself. For all that and much more - including new gear from the likes of Vigier, Rivolta, Swart, Danelectro, Joe Satriani’s essential gear and the latest in our DIY Martin acoustic build project – pick up your print or digital copy of the March 2018 edition of The Guitar Magazine today. WIN A complete Audio-Technica home recording studio!